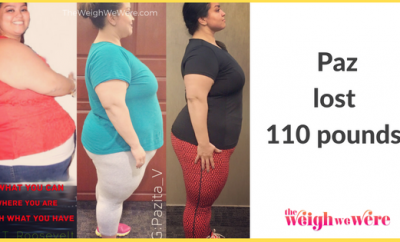 If you ever wondered what a difference losing 113 pounds can make, just look at Devilish_Patsy, who in addition to improving her health now also has more energy and confidence, and higher self-esteem. You can judge for yourself how great she looks by checking out her before and after shots. I started to gain extra weight during my husband’s illness in 2005. After I found it difficult to cross my legs and hard to keep up with my granddaughter at play, I finally realized there was no magic answer. 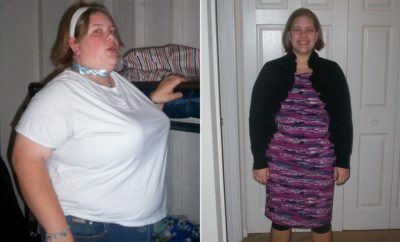 I subsequently lost 45 lbs in 2006 after the devastating loss of my husband of 14 years. I had developed weight-related health problems, which led my doctor to prescribe me medication but I realized that there were alternatives outside of medication that would lead to a healthier lifestyle. The need for better health, the desire to begin a new social life, and the approaching 50th birthday hit me all at once. Something had to change. In July 2007, at 48 yrs old, I met with fitness trainer Susan Ball to discuss personal goals to lose 50 lbs before my 50th birthday. In the past I had tried the Stillman all protein diet, various “lose-weight-quick” diets and Nutrisystem. I started resistance and cardio training with Susan 3-5 times a week. I began to keep a food journal logging my nutritional endeavors daily. In less than one month, I began to feel better emotionally and physically. As a former all-day food-grazer I changed the way I looked at food. Junk food, fast foods and red meat have been traded for lean chicken, fish, fruits and vegetables… all washed down with plenty of water. 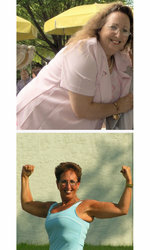 By February 2008, Susan and I working together as a team, I reached my goal of a 50 lb weight loss. Pleased with my progress, my doctor no longer recommended medication, but I was not finished with weight loss just yet. I went on to lose a total of 113 lbs and am currently in a healthy BMI range and within 5 lbs of my goal weight. Calorie count helped by providing me with the tools to help myself. I am responsible for “saving” myself and losing weight. No one else can do it for me. Calorie count provided a way to log my food and exercise. It also provided a host of excellent information via the forums. We have an incredible amount of intelligent, fitness-savy members in the forums! The most challenging thing is realizing that I have the power to change my life. Each food choice is a conscious choice… do I choose something with wonderful protein or do I choose something with a little fat in it? It’s all a choice. Immediately… within four weeks I started seeing results. With my first monthly weigh-in and measurements, I claimed success in lost pounds and lost inches. With each subsequent weigh-in and measurement, I was delighted with my success. Clothing is much looser now, and I feel much healthier! I am a huge believer in the power of motivation. I focus on my goals and keep my eye on the prize… a healthier lifestyle. I am no longer shy in front of a camera. Along with a healthier lifestyle and new outlook on life, I am enjoying many activities, including a new love for Salsa dancing. I have more energy now than when I was in my 20’s! You are never too old to take on new adventures. I have a future goal to compete in my first Body Building competition. Re-think your lifestyle. People ask if I am dieting, I tell them that is a four-letter word, I do not believe in diets, I believe in a healthy lifestyle. Move your Body. Working out has changed my life. I put myself in my trainer’s hands and she molds me with strength training. I have gone from a size 24 to a size 4. I do some form of exercise every day, either in the gym or out in the fresh air. Drink plenty of water. I am constantly drinking water to keep my body hydrated and to flush out fat cells. Keep a Food Journal. I log everything I eat and drink down on paper and also online, even when I go above my 1200 calories a day, I write it down. It is like a checkbook, you shouldn’t spend what you don’t have. Most importantly – maintain a POSITIVE ATTITUDE! You can do it!